Hello everyone!! 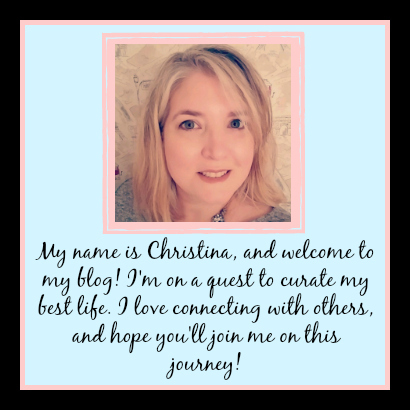 I feel like I'm starting a letter to some long lost friends instead of a regular blog post...so here I am apologizing again. We are still in a hotel, and life has still been stressful and out of the norm. OH, and my daughter requested I be sure to tell you all that she is a jackass and even HER summer isn't going the way she thought it would. Daughter + metal part of dorm room locker = stitches and a change of work schedule. Really, it's been just a regular PCS for my family! But the good news is that we will be in our new home within the week and hopefully life will return to our new normal. So, as I've said before...don't give up on me yet!! 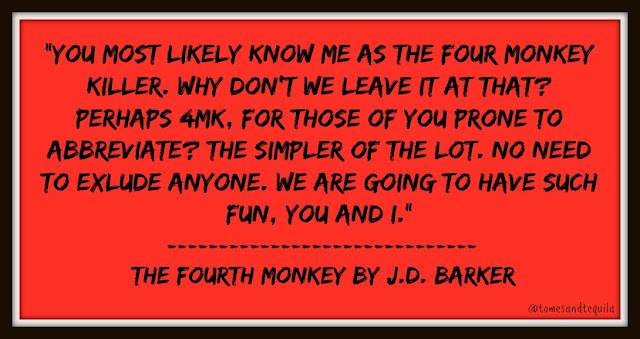 I was lucky enough to be sent a copy of The Fourth Monkey by J.D. 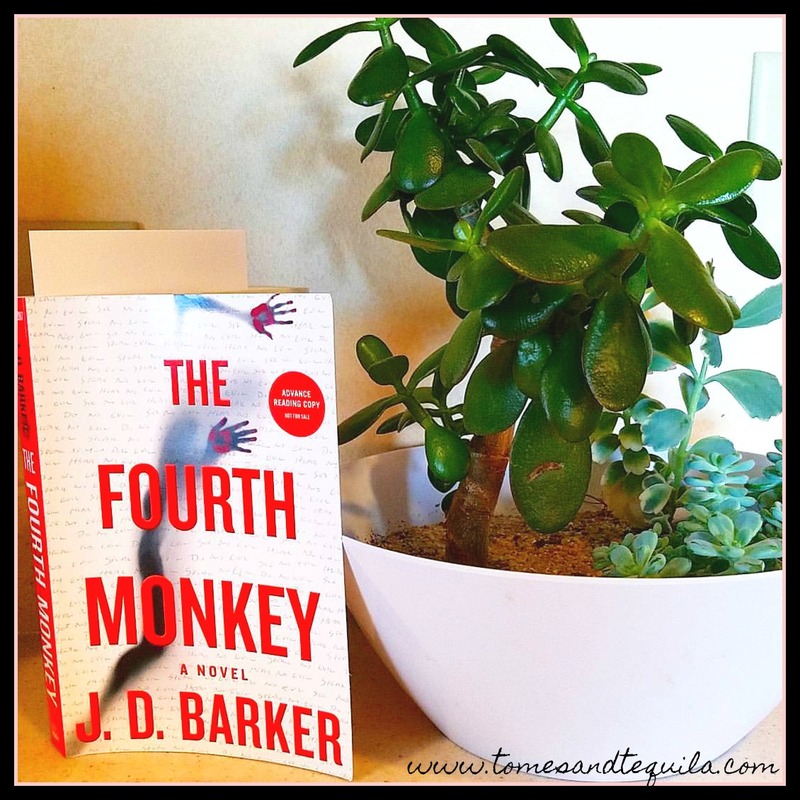 Barker to review, and I'm incredibly happy they reached out to me because I thoroughly enjoyed this mystery/thriller. The book comes out TODAY (June 27th!) from Houghton Mifflin Harcourt and the press compared it to SE7EN and The Silence of the Lambs so I was initially intrigued. Although I have always loved watching movies like that, I don't read a ton of Cop/Detective stories. This one really kept my attention though, and I may have to start adding this genre to my rotation a bit more frequently from now on. Detective Sam Porter has spent the past 5 years trying to hunt down the Four Monkey vigilante serial killer who has tormented Chicago with his sick and twisted trail of body part clues, and never come close to capturing him. Now a man has been hit by a city bus, and in his pocket is one of the 4MK classic clue boxes, and a diary. With the killer dead and only a handful of clues, can Porter and his task force find the killer's last victim in time to save her? The chapters are split between the happenings of Porter and his task force, the last victim Emory, and the Four Monkey Killer's diary that Porter is reading. That interplay really helped build the tension, especially towards the end of the book. And the difference in writing style between the diary chapters and the rest of the book was quite impressive. I honestly could've read an entire book of the killer's diary backstory! It reminded me of one of the short stories in P.D. James' The Mistletoe Murder compilation...so creepy in it's normalcy and yet so horribly off. It was compelling enough, I don't think I set the book down once during a diary chapter. It was fascinating, and I was so proud of myself for picking up a couple of clues that helped me reach a conclusion BEFORE Detective Porter. That rarely happens for me in a mystery, but it didn't impact my enjoyment in any way. I kept telling my son I wanted to keep reading to find out if my hunch was right! And the rest of the book, full of witty banter between detective friends and sarcastic jabs amongst co-workers, was realistic and could probably be lifted verbatim from the page to screen and make a successful and thoroughly creepy movie. That was a pervasive thought of mine throughout reading this book...it would make a great movie. The first half is chock-full of dialogue. I am used to books having way more description and internal thoughts put on the page...and this book is very heavy on conversation. But I think it fits, and is probably necessary given the genre and style. In short, and I am purposely trying to be vague because I don't want to get even kinda close to a spoiler, I am giving this one 4 1/2 stars...rounding up to a 5 on Goodreads. I think the early press for this thriller was spot on. Yes, I had hunches that proved right so it wasn't a whodunnit that had me perplexed right up until a grand reveal like the Cormoran Strike books. But I devoured the last quarter of the book in the wee hours of the night because I wanted to see how they wrapped it all up, and it did not disappoint. The ending was perfection really. So, if you are a fan of dark and twisty detective mysteries, definitely give this one a try. And a huge thanks again to the author and publisher for sending it to me. It was a great distraction from the chaos that has been my life recently!! I have a huge pile of new books to review for you still so keep reading! Have you read anything good this summer? If so, I'd love to hear about it!! Let me know in the comments here or over on my Facebook page.